While temperatures continue to drop as fall gives way to winter, November is still a great time of year to visit Canada's biggest city. Although July and August are much busier with tourists and warmer from long summer days, the smaller crowds and cooler weather mean discounts on travel and accommodations in Toronto. Off-season in the city doesn't mean there isn't still plenty to do, though. November falls just after Canadian Thanksgiving and before Christmas, but at the beginning of the month, you can catch the tail end of the fall foliage on a comfortable hike or walk along the beach. 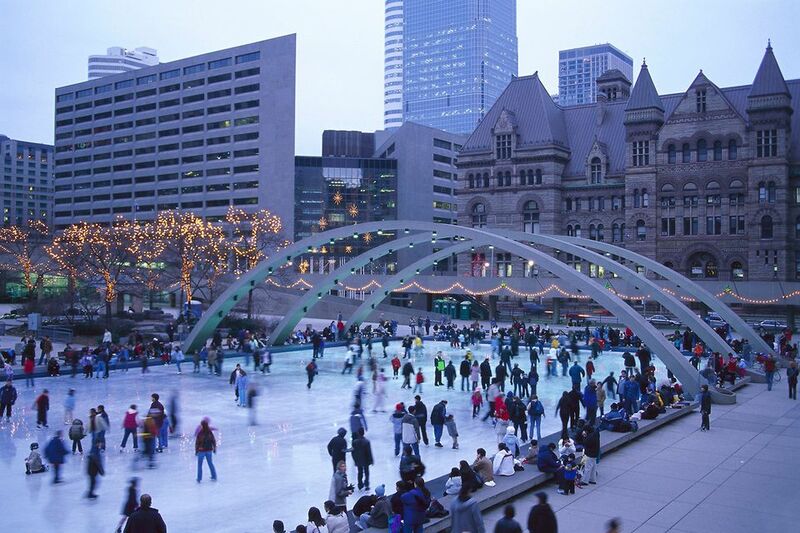 Towards the end of November, you can enjoy seeing the city bathed in Christmas lights, line up with a few thousand people to watch the Santa Claus Parade, skate on the outdoor rink at City Hall, or catch some other special holiday programming. Fall can be an unusually short season in Toronto, but November can be especially volatile in terms of temperature fluctuations year-to-year. Typically, you can expect an average high of around 52 F and an average low of 30 F for most of the month with about 10 out of 30 days experiencing rainfall, but some years are warmer than others. In fact, the city didn't see any nighttime temperatures that dropped below freezing in November of 2017, so you never really know what to expect in terms of colder temperatures. Since the weather in Toronto can be rather unpredictable in November, visitors should be prepared with a variety of clothing options appropriate for warm afternoons and near-freezing nights. You should pack clothing that can be layered, especially if you are going towards the end of the month. No matter what, though, you should check the weather forecast a day or two before you depart as you may even need to bring footwear suitable for the snow. If the season seems particularly cold, you may need to pack winter wear like sweaters and thermal underwear. Harbourfront Centre: always offers special artistic and cultural events. The Distillery Historic District: has tours and other special events. Royal Agricultural Winter Fair: World's largest combined agricultural, horticultural, canine and equestrian event. One of a Kind Show: Innovative artists, craftspeople, and designers come together to share their unique creations. Fewer tourists mean more deals on travel, lodging, and even dining out; you can find some great offers on websites like Travel Zoo Canada. Downtown Toronto has the underground PATH system of walkways that comprise stores, restaurants, and services that link major hotels, subways stations, and attractions. These walkways are a great way to avoid icy wind gusts on extra cold days. Although not a general holiday, Remembrance Day on November 11 is a bank holiday in Toronto and Ontario when government offices and banks will be closed. You should also call ahead to double check the hours for any restaurants or stores you plan to visit. Toronto has a wide range of hotels, from contemporary luxury accommodations to traditional lodgings. November is a low season for hotels, so a last-minute vacation should be no problem to book. You can also check out Home Away for a listing of condos and houses available for rent.